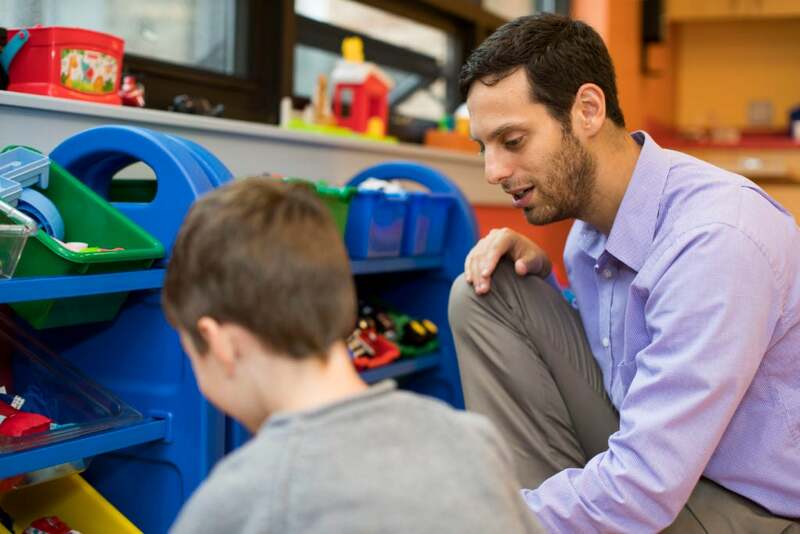 Years from now, Luke Creedon will look back on his childhood and learn that when he was five years old, he met a psychologist at Franciscan Children’s who changed his life. 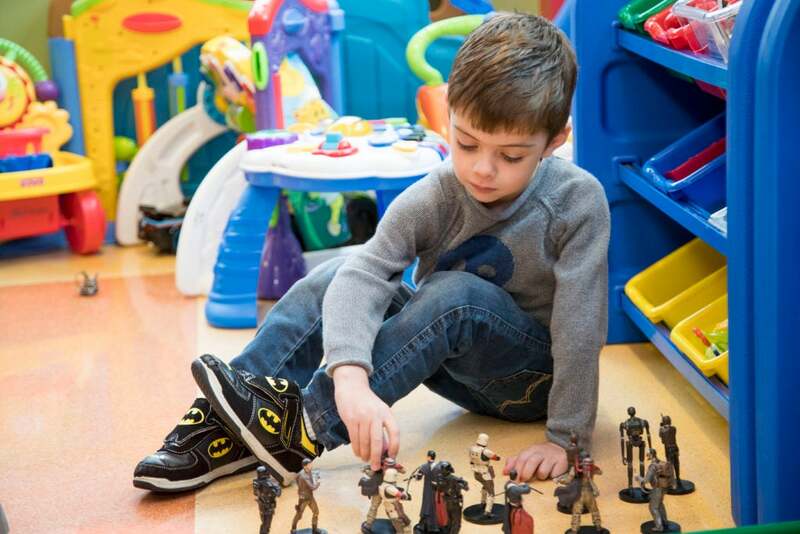 Luke and his psychologist formed a special bond through hard work and playtime. This connection, along with plenty of patience and mutual respect, led to a moment that changed everything for Luke’s health and his future. In his five short years, Luke was diagnosed with autism, heart issues, a never-before-seen genetic disorder, and sleep apnea. Luke’s childhood was full of doctors, hospital beds, blood tests, and the many other challenges that often come with multiple medical complexities. Three of Luke’s issues are related: His genetic disorder affects his muscles and connective tissues, leading to a hole in his heart and also causing his tongue to roll back during sleep. His tongue rolling back, in turn, causes his breathing to start and stop up to 98 times in a single night—thus his sleep apnea. Multiple surgeries, including one to patch up his heart and another to expand the airway in his throat, improved Luke’s health tremendously—and showed Luke’s mother, Janis, just how strong her son really is. Luke’s endurance was tested like never before while recovering from throat surgery. His sleep apnea was causing him to wake several times during the night, severely impacting his recovery. If they couldn’t figure out a way to help him rest, his lungs would never repair themselves. Using a CPAP machine—a facemask that applies constant pressure to the airway so that it doesn’t collapse—at night would enable Luke to sleep soundly and promote his growth and development. The catch? Only half of adults prescribed CPAP masks use them regularly; getting a child with autism to wear one every night was a job that required professional expertise—and a lot of patience. While Luke no longer needed an acute-level of care, he wasn’t well enough to go home. His team at Boston Children’s recommended a transfer to Franciscan Children’s Pulmonary Rehabilitation Program, where he could receive the post-acute medical and respiratory care he needed to continue his recovery while also working on accepting his CPAP mask as a part of his daily routine. What makes a great caregiver? Is it a doctor who sees something on an X-ray no one else does? A nurse who sings a song to distract a patient during an uncomfortable procedure? Or is it a psychologist who sits patiently for days, weeks even, with a scared young boy until he becomes comfortable enough to let his guard down? Psychology was in Gregory Young’s DNA. Both of Dr. Young’s parents are psychologists, his mom in a school and his dad in a clinical setting. He grew up with dinnertime conversations that revolved around human behavior and the ways of the mind. Dr. Young’s first career experiences involved working with children with developmental and cognitive impairments, which eventually led him to Franciscan Children’s in Brighton. 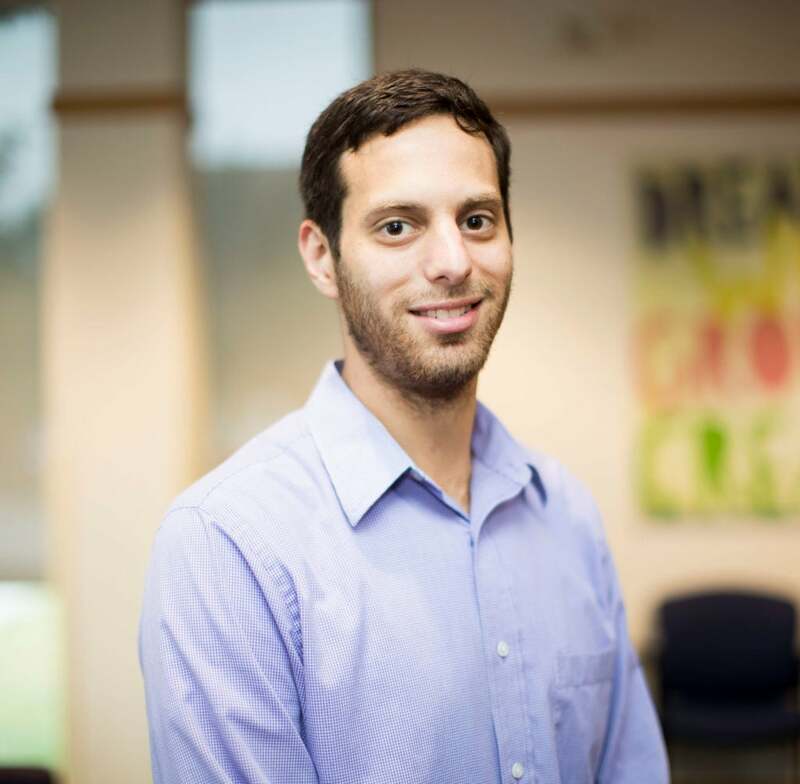 Now, he helps families adjust to rare and complex medical conditions, manages problem behaviors, prepares patients for procedures, and, as he would with Luke, helps kids become more comfortable with medical equipment. Dr. Young first heard about Luke before he was transferred to Franciscan. Always an advocate for what’s known as CPAP desensitization therapy—the process of making a child comfortable wearing a sleep mask—Dr. Young knew Luke was perfect for it. But, as any doctor will tell you, the approach to care depends on the specific patient. After familiarizing himself with Luke’s background, Dr. Young wondered: What will he be like? Luke and Dr. Young bonded quickly. They watched Luke’s favorite movies, built forts to hide from imaginary enemies, battled as storm troopers against dinosaurs, and ran around as race cars in the final lap of the Indy 500. Dr. Young knew that to gain Luke’s trust, he had to be more than Luke’s psychologist; he had to be his buddy. 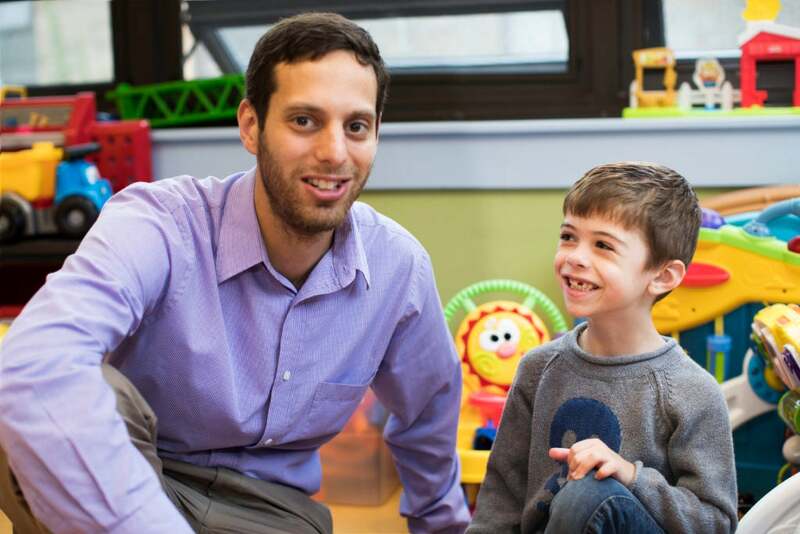 Luke became more comfortable with his new friend—and Dr. Young became familiar with Luke’s personality and interests before applying them to his treatment. That familiarity, and that connection, proved to be the necessary building blocks when the time came for real change. Anyone close to Luke will tell you he knows how to make a deal. He knows what he wants, and he’s always ready with an argument to help him get his way. A CPAP mask similar to the kind Luke must wear to bed. This barter system came to define the process that he used to help Luke grow accustomed to using his CPAP mask. But Luke had to overcome his anxieties about wearing it first. Each time Luke practiced with the CPAP mask, it was during one of his favorite activities. And each time Luke successfully used it, he earned an Oreo cookie, one of his favorite treats. 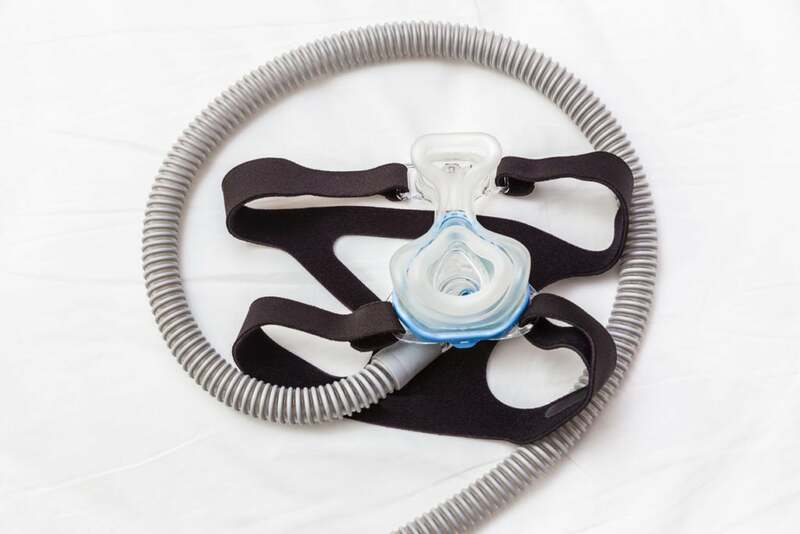 By associating the CPAP mask and its use with things that made Luke happy, Dr. Young made the machine more approachable and Luke more comfortable. Luke became so comfortable, in fact, that the little dealmaker soon started setting goals of his own. Over a couple of weeks, after much reinforcement, repetition, and a whole lot of Oreos, Luke became comfortable wearing the CPAP mask. The final and most critical step was to turn it on. Along every patient’s journey, there’s a moment when a corner is turned. And some breakthroughs are truly momentous, like what unfolded one day in the playroom at Franciscan Children’s. One day, Luke and Dr. Young sat together, making jokes and playing a matching card game during a session. Luke was wearing his CPAP mask, a step that had taken weeks to achieve. And while the CPAP’s air pressure machine was on, emitting a deep hum, the tube connected to Luke’s mask wasn’t plugged into it. Without the tube connected, the mask can’t do its job. Luke surveyed the cards in front of him and made his pick: a match! Dr. Young followed, making his choice. Luke quickly noticed something; his mask wasn’t connected to the machine. In that moment, Luke made a critical decision. “This should be plugged in,” said Luke, as he plugged the tube into the machine, allowing the air to flow to his mask. Luke sat back down and returned his attention to the card game. Dr. Young looked on, and smiled. “Is it my turn?” Luke asked. The weeks spent working and playing with Dr. Young paid off. The time spent building trust, patience, and friendship became well worth it. Together, Dr. Young and Luke proved true the idea that no matter how impossible a goal may seem, it’s no match for the power of human connection. 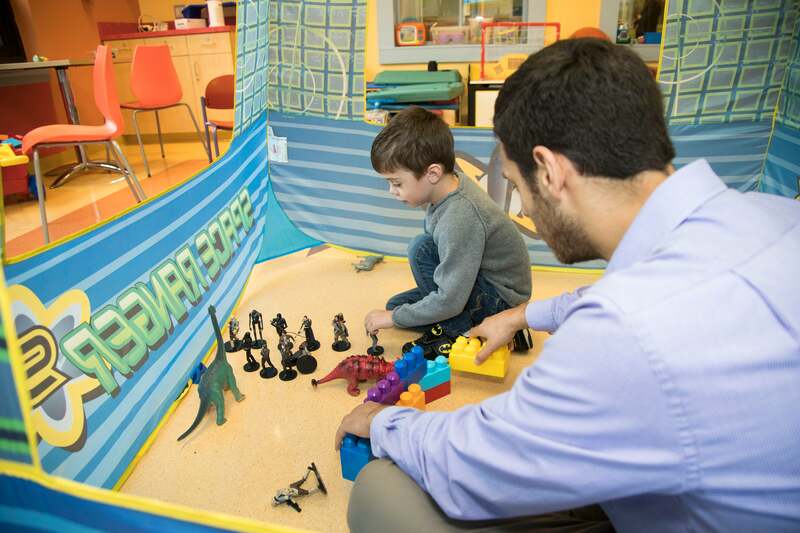 Every day at Franciscan Children’s, kids like Luke and professionals like Dr. Gregory Young come together, bonded by complex challenges, extraordinary care, and the hope for a healthier future. And while Luke still receives care on a regular basis from multiple doctors, his “uncle Greg” will always be more to him than an average caregiver. 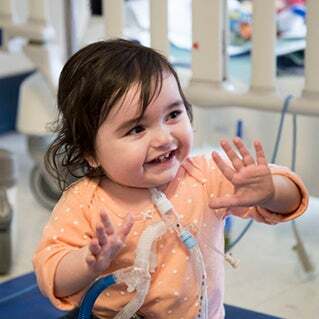 To learn more about children like Luke and the services that Franciscan Children’s provides, please visit franciscanchildrens.org. 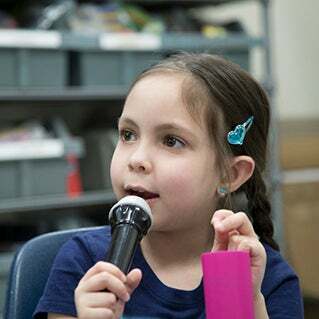 For 14-month-old Mae and her family, music has become a bright note through a childhood of medical challenges.